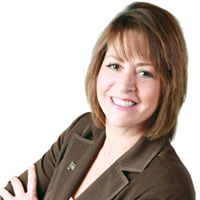 Julie is an experienced residential and commercial real estate broker with Buckingham Realty. A consistent top producer since entering real estate in in 1990, Julie services Windsor and Essex County, Ontario, Canada. “Reputation is the measure of how much a community trusts you.” Buckingham prides itself on having one of the best reputations in the industry. As a leading Real Estate Broker for over 45 years Buckingham has built a reputation of trust and integrity in Windsor and Essex County. Buckingham has over 50 experienced realtors on staff. We have helped tens of thousands of families, individuals and companies to sell and to purchase, resale homes, new homes, condominiums, commercial properties, factories and businesses.